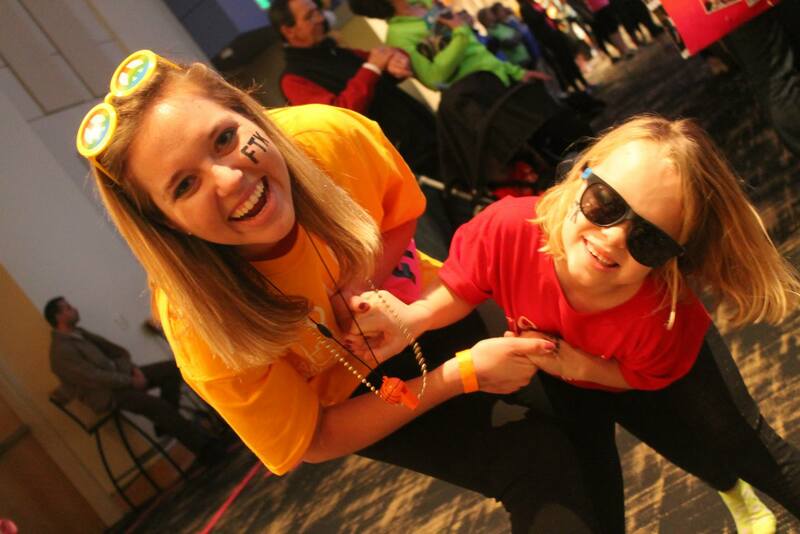 Vanderbilt University Dance Marathon believes that every child’s life matters and that no medical condition should prevent a child from experiencing the joy of a full childhood. 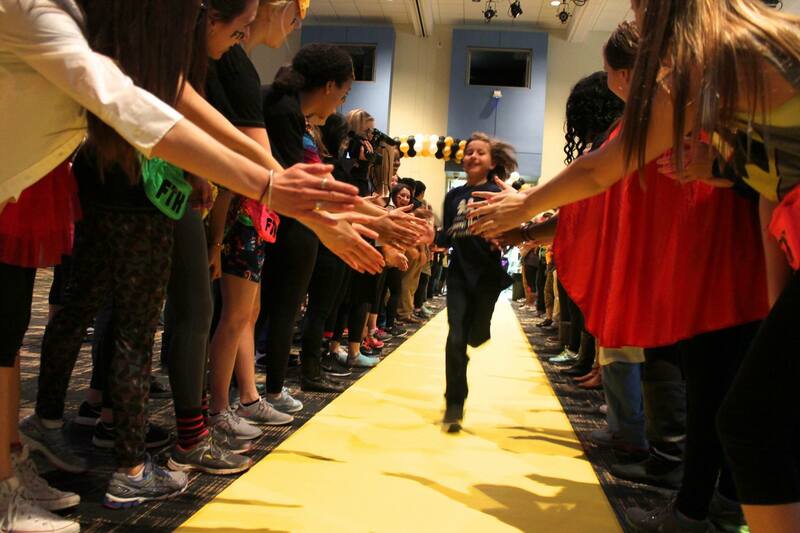 We seek to support the patients and families of the Monroe Carell Jr. Children’s Hospital at Vanderbilt by welcoming them into the VUDM Family. Each year we celebrate the lives of these children through regular campus and family events and a yearlong fundraising campaign, culminating in a 13.1-hour party with music, dancing, food, and entertainment acts. Our slogan “For the kids!” captures our purpose in its simplest form: to celebrate the work Children’s Hospital does in the lives of countless children and help support its continuation. We invite all members of the Vanderbilt community to join the party and dance alongside us. What happens at Dance Marathon? Don′t let the title scare you. It’s not just 13.1 hours of dancing. It’s fun music, great food, entertainment like hypnotists and bouncy castles, excitement, and yes, even some (happy) tears. Participants will not only dance, but they’ll play games, compete against other teams, be entertained, and best of all, meet the Miracle Children who benefit from their fundraising! 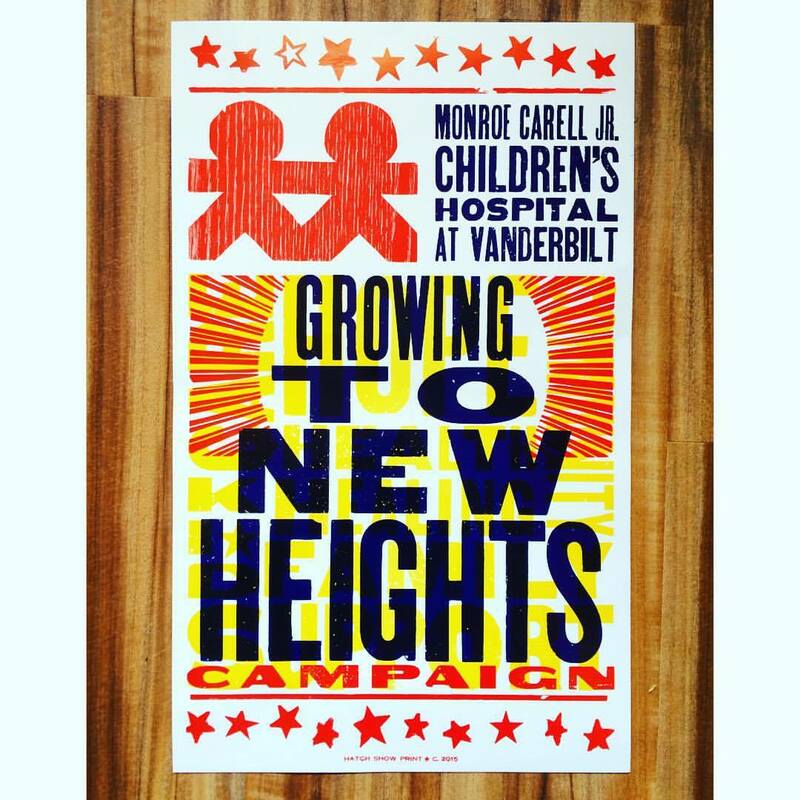 The Monroe Carell Jr. Children′s Hospital at Vanderbilt is a place to hope and a place to heal for patients and their families. Children′s Hospital is consistently recognized as one of the premier children′s hospitals in the nation by U.S. News & World Report. Vanderbilt Children′s cares for the sickest patients in the region and beyond and treats every child, regardless of the patient′s ability to pay. In the 2010 fiscal year, Vanderbilt Children’s received 257,743 pediatric visits and over 182,000 patients were seen in physicians clinics. Vanderbilt Children′s Hospital is the most comprehensive children′s hospital in the state, offering services from cancer treatments, to organ and bone marrow transplants, to repairing broken legs and everything in between, while providing family-centered care every step of the way. Constructed in 2004, the freestanding children′s hospital is filled with the latest state-of-the art equipment and information systems to provide the best treatments for patients and offers a variety of family accommodations to help fulfill its mission of family-centered care. Children′s Hospital is a non-profit teaching and research hospital and relies on the support of individuals and others to help children get well and on their way. It is also home to the only Pediatric Emergency Department in Middle Tennessee, with more than 53,300 visits in the 2010 fiscal year. The first $50,000 we raise goes to fund a pediatric fellow who is currently conducting research at the Children’s Hospital. Every dollar that we raise after that goes to fund the Growing to New Heights Campaign–which funds the hospital’s effort to add 4 more floors to the hospital . Since 1983, The Children′s Miracle Network generates funds and creates awareness programs for the benefit of children served by its 170 associated hospitals. Through its year-round efforts to help kids, Children′s Miracle Network has raised more than $4.3 billion to date, most of which is donated a dollar or two at a time by caring individuals across North America. Children′s Miracle Network hospitals pride themselves on providing primary care for all children, regardless of ailment or ability to pay. Funds raised by Children′s Miracle Network benefit children who suffer from the following illnesses: Muscular Dystrophy Abuse, Birth Defects, Burns Abuse, Cystic Fibrosis, Accidents, AIDS, and Cancer.